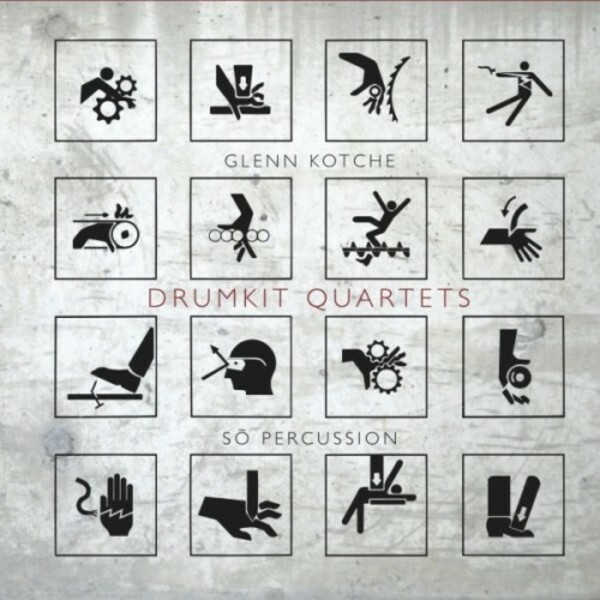 From the multi-hued vision of his aptly titled Cantaloupe debut Adventureland to the drumming-without-a-net workout of John Luther Adams� Ilimaq, Glenn Kotche is on a roll, so to speak, both as a performer and as a composer. While most music fans already know him as the powerhouse drummer behind the beloved rock band Wilco, he�s also an emerging creative force in the contemporary classical world, drawing the attention of Adams, Kronos Quartet, Missy Mazzoli, the Bang on a Can All-Stars and many more. The result runs the expressive gamut of percussive instrumentation, from the marimba-based �Drumkit Quartet #51� (with haiku recited by Cibo Matto�s Yuka Honda) to the hand-cranked sirens that open �Drumkit Quartet #50,� which channels the futurist manifesto of Luigi Russolo�s �art of noise,� spiced with a little John Cage and Luc Ferrari. A rich sonic tapestry of rhythmic exploration, audio collage and third-mind improv, Drumkit Quartets actually goes well beyond the drumkit � which is to be expected, given the feverishly inventive artists behind the recording.